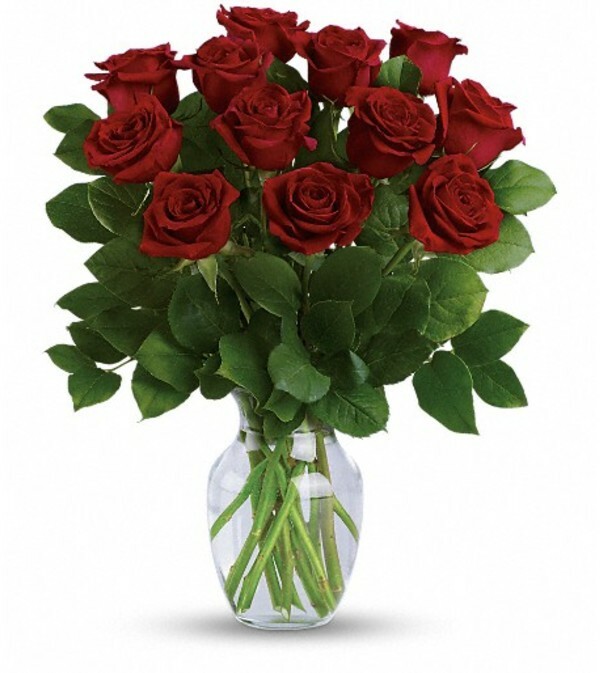 Bring a smile to her lips - and a kiss to yours - with this luxurious bouquet of classic long stemmed roses. 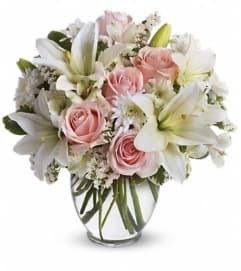 It's simply stunning for any romantic occasion in a graceful glass vase with fresh lemon leaf. 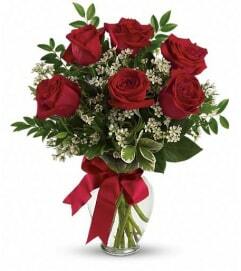 This classic bouquet features radiant long stemmed red roses accented with lemon leaf. Delivered in a clear glass vase.